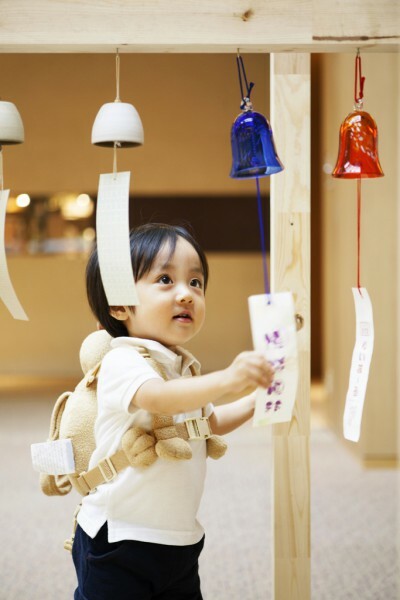 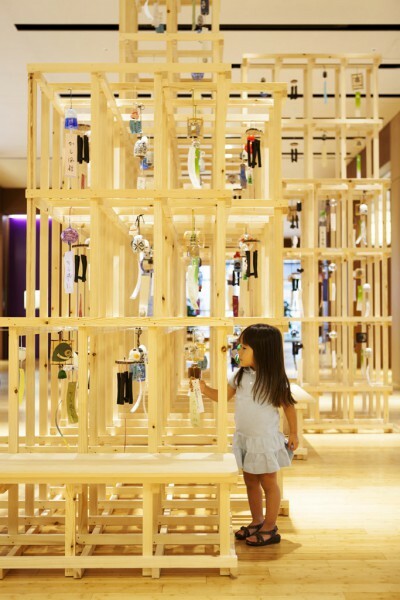 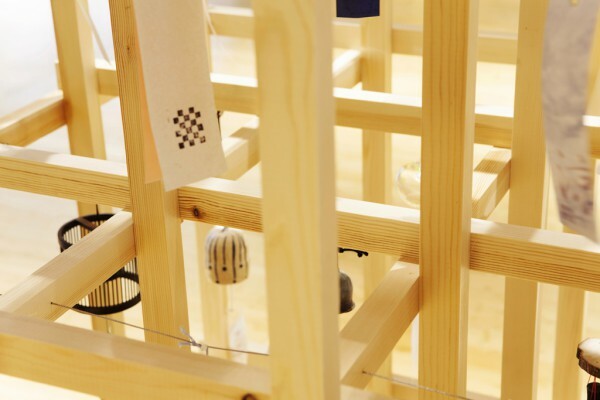 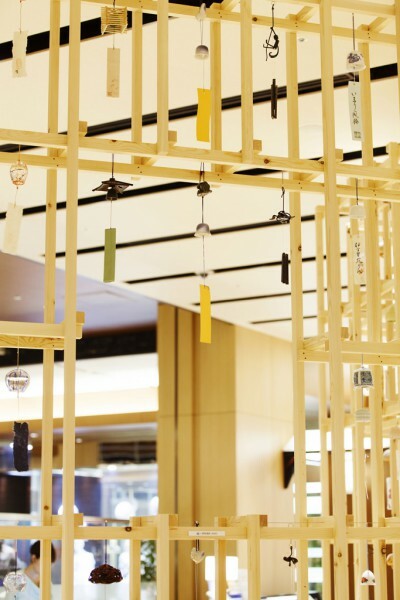 A wide variety of wind chimes are hung and divided one by one within a three dimensional lattice. 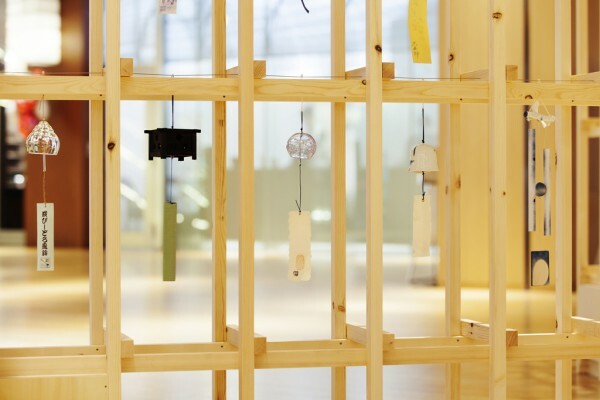 We had imagined that people would enjoy seeing each chime individually focused, in the same way as if when they are seen inside a specimen box. 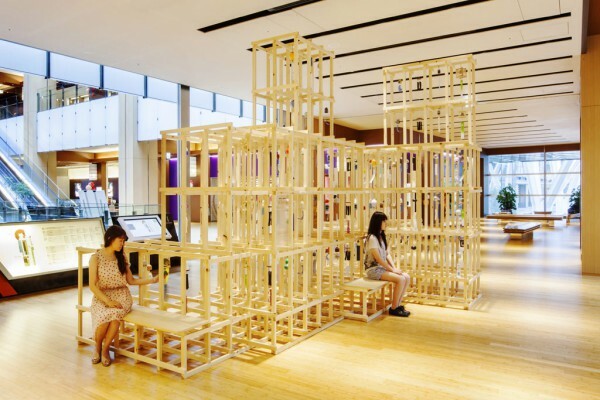 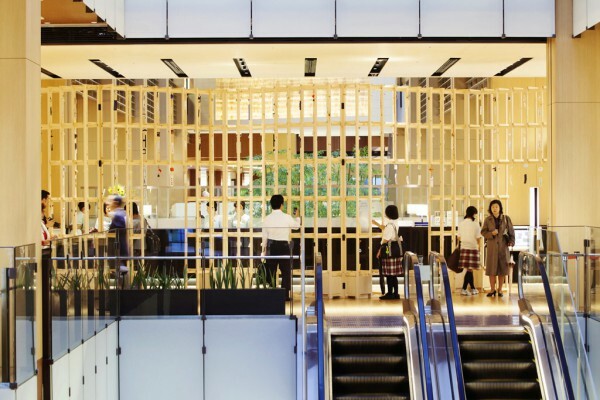 On the first floor, we had made a three-dimensional lattice like a folding screen, while on the second floor, we had brought the lattice together to create a large timber mass through which people can walk and also sit on. 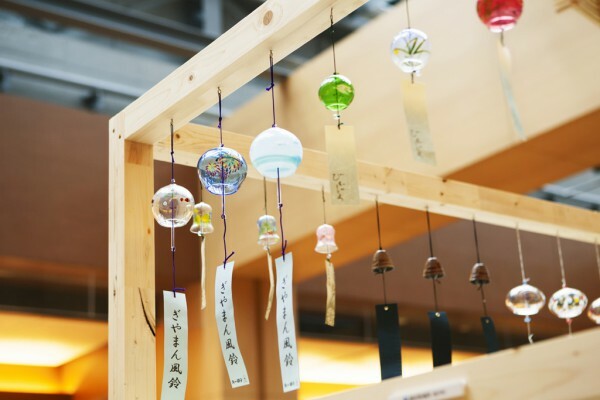 On the third floor, we hung wind chimes on the beams of scaffold towers that remind us of those typically seen at Japanese summer festivals, so that people can enjoy different sounds at each tower. 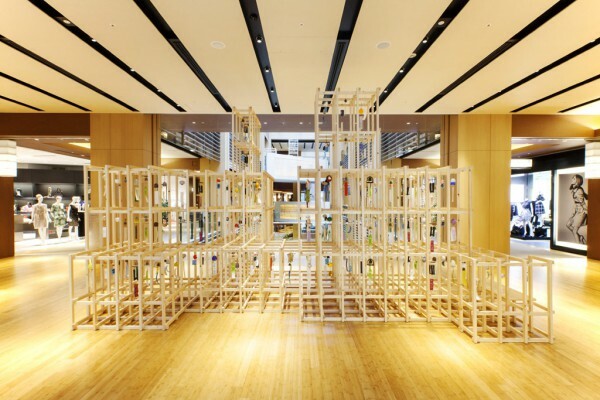 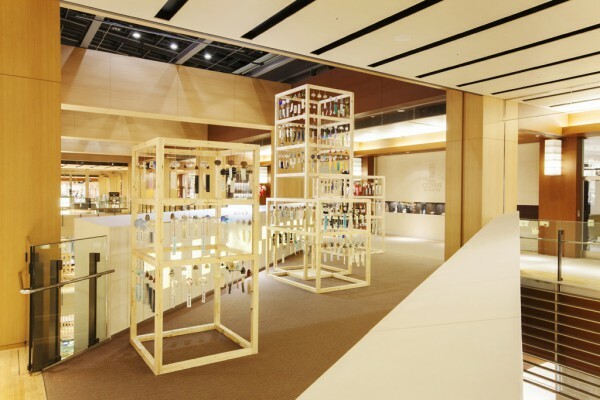 By changing the forms of the timber structures and providing different characteristics to each floor, we had planned the exhibition to be a trigger for people to walk through the Galleria. 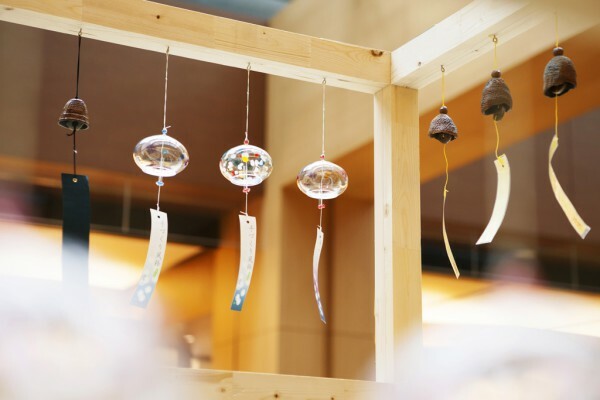 We have focused this installation to allow the different cooling sounds of the wind chimes fill the Galleria as they are touched.